Ken is a brave person. 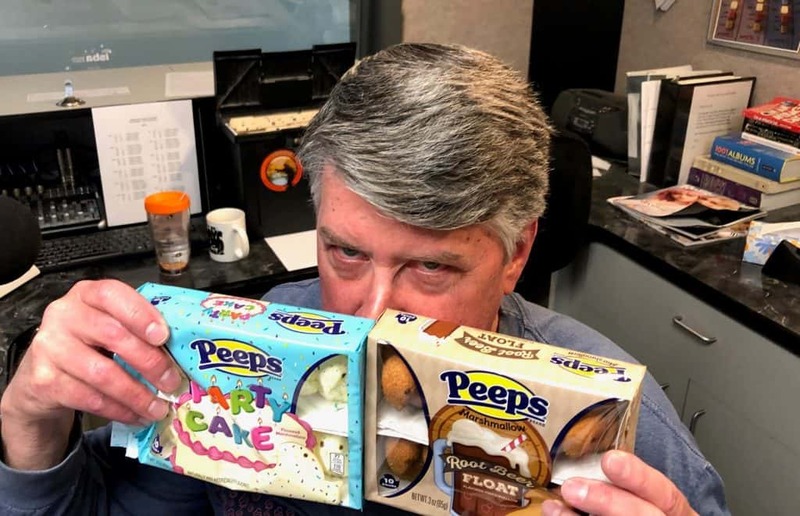 He tasted two seasonal versions of Peeps this morning. I thought I purchased a package of the Pancakes & Syrup flavor along with Party Cake, but somehow picked up the Root Beer Float Peeps. Turns out, Ken HATES root beer. Oops. So, what did he think? Spoiler alert: He survived.